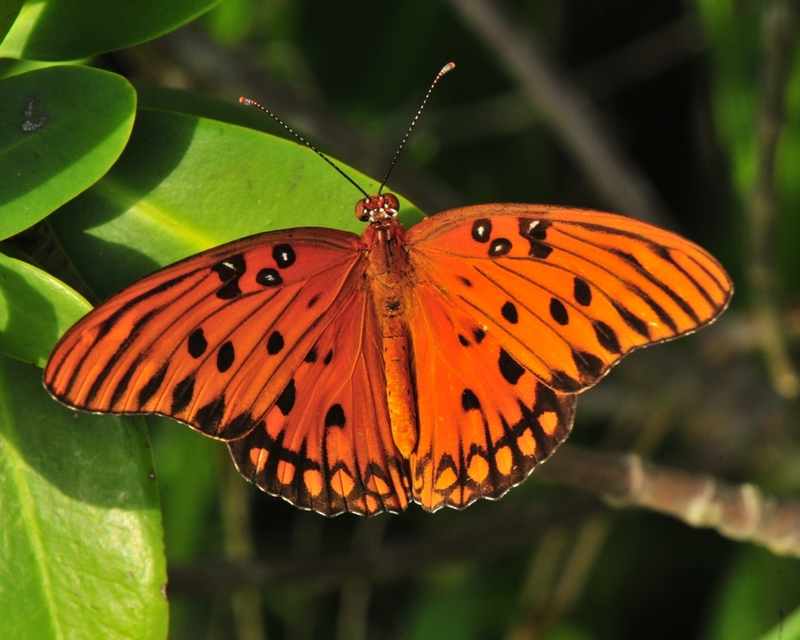 The Gulf Fritillary is one of the most attractive butterflies here is SW Florida. It’s host plant is the passion fllower and they can bee seen everywhere that it grows, wild or cultivated. Despite it’s name, it isn’t unique to the US Gulf states. It’s range is from Argentina to the southern US as far north as San Francisco but it can and does migrate across the Gulf of Mexico. It’s brilliant orange coloring makes it easy to spot and you can often see the silver spots of the underwing when it’s at reast or feeding. 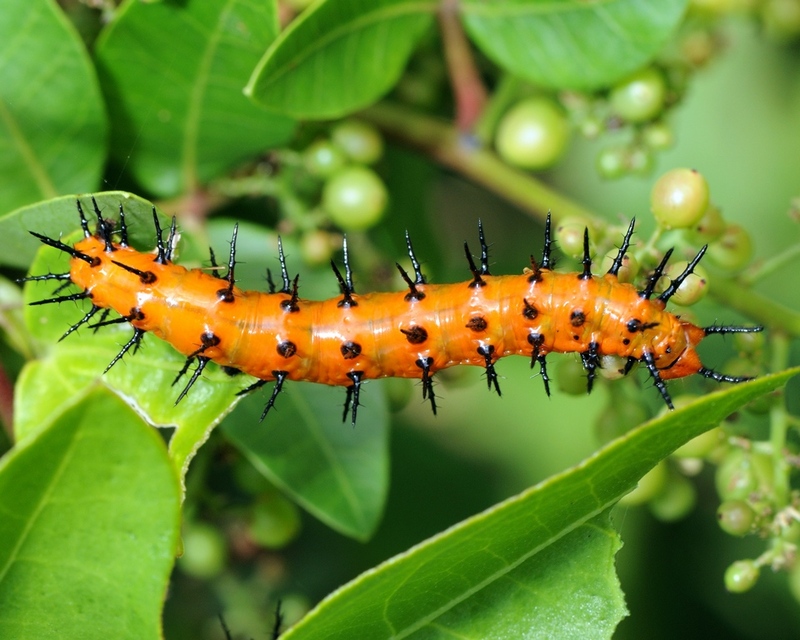 The caterpillar is also orange and black with fearsome looking, but soft, spines. 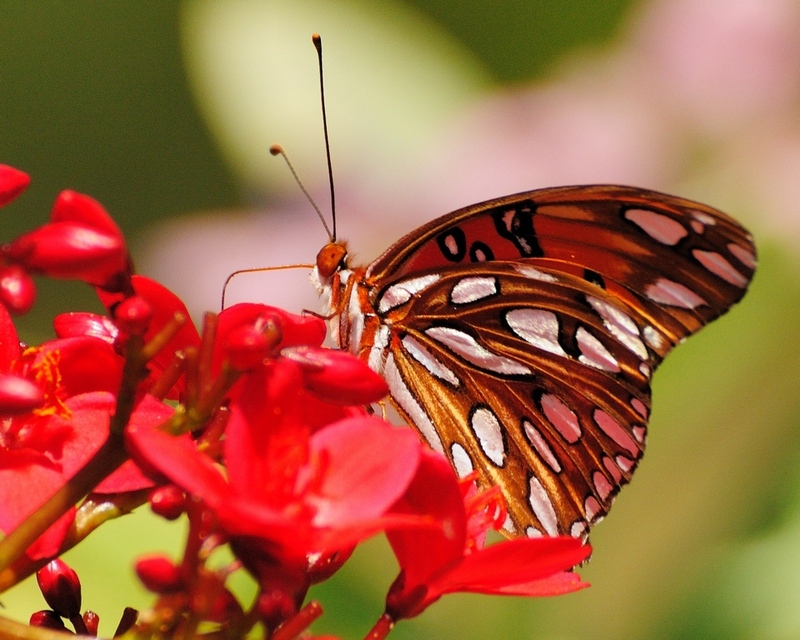 This entry was posted in Bug and tagged Gulf Fritillary, Photography. Bookmark the permalink. Gorgeous photography of this species! Thanks for your suggestions on ID help!